It was Shaun's birthday at the beginning of the month and for some of his gifts I decided to take my own advice and go on a mens clothing binge at one of my go-to online shops, Spartoo. I bought a small selection of things that I knew Shaun would love and that he needed. Though he didn't know he needed them, for instance the leather belt he was wearing daily was looking quite worse for wear and I thought it was about time he had his own jogging bottoms so that he stopped borrowing mine! 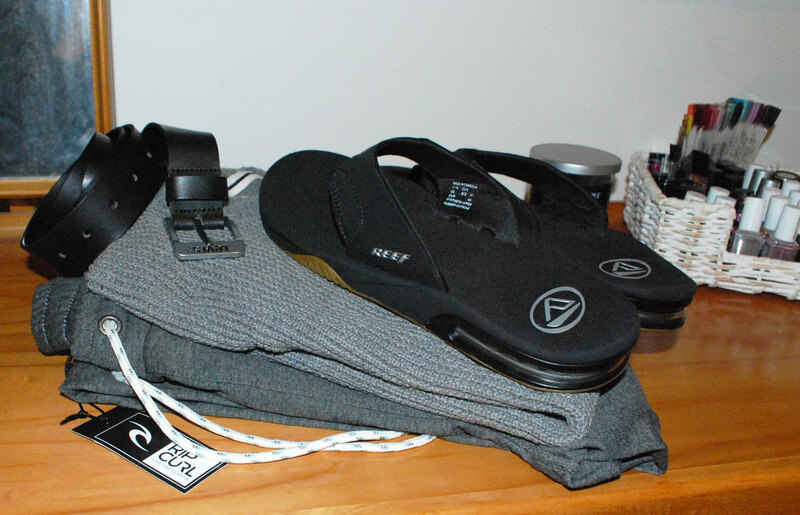 I bought myself a pair of 'fanning' Reef flip flops around this time last year and Shaun thought they were great because of the bottle opener they have built into the sole so he now has his very own pair of mens reef flip flops :) They're easily the comfiest pair of flip flops I own with the spongy and supportive ergonomic sole, even with a bottle opener hidden in the bottom of it. Probably Shaun's favourite of these gifts. I love Shaun in a fitted grey jumper especially this one from Esprit, it's a small waffle knit on the front panel and normal on the back and sleeves. To me you can't get much better than Levis when it comes to jeans and jeans accessories so I bought him this black leather belt, perfect for work trousers and pretty much any jeans he has. 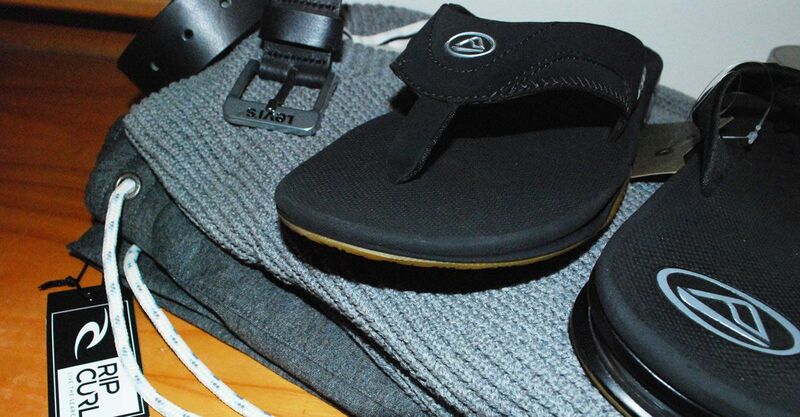 There's something about mens ripcurl clothing that I've found myself drawn to when shopping for Shaun recently, namely their relaxed pieces like jogging bottoms and hoodies because they're quality casual pieces. This haul was a bit of a mash up of random items, especially as I ordered myself some much needed new Dkode black ankle boots too.